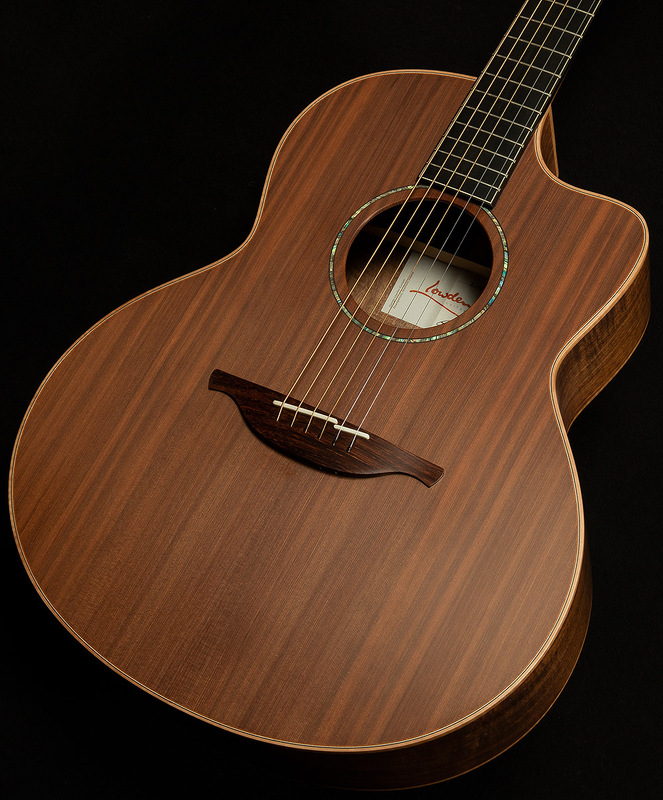 There are two kinds of great acoustic guitars: those that have a commanding, unmistakable voice that forces the player to adapt, and those with a flexible, malleable sound that can follow the player wherever they go like a fleet-footed chameleon. 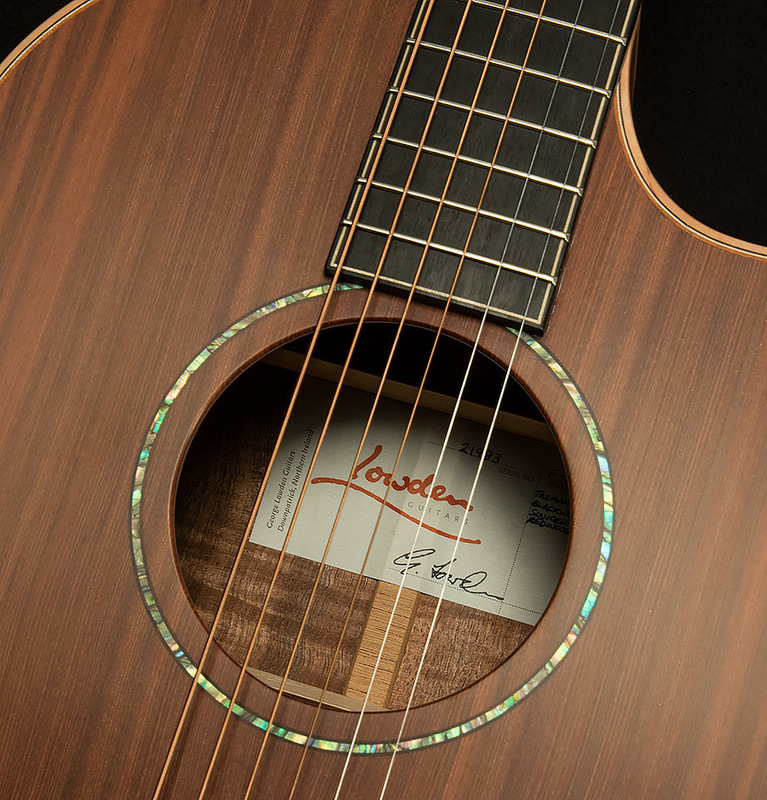 This Lowden F-35 falls more into the latter category, but it manages to accomplish a rare feat: it is dynamic and expressive enough to handle any acoustic adventure, but it still manages to have a distinct personality no matter what. 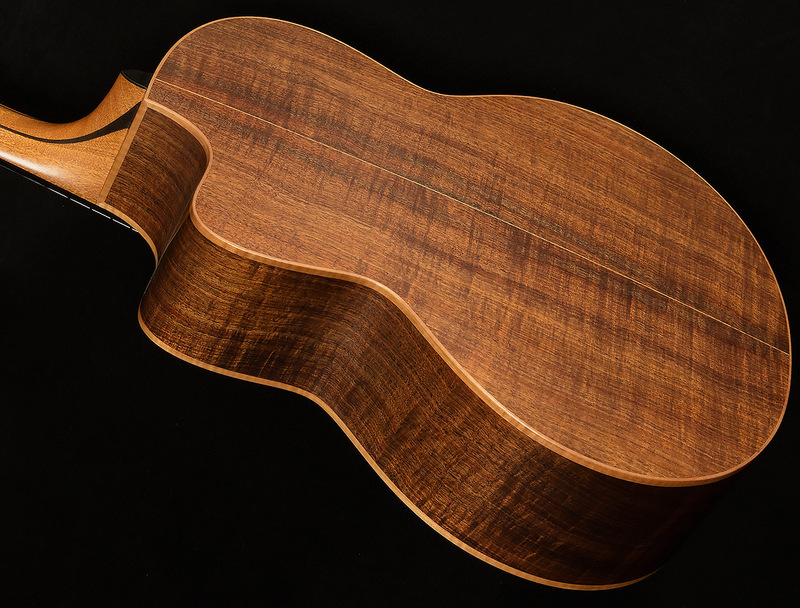 Understanding how the sinker redwood top interacts with the Tasmanian blackwood back and sides is the key to quantifying the magic of this Lowden. These two tonewoods are a bit uncommon, so here’s quick primer: sinker redwood is like cedar on steroids. 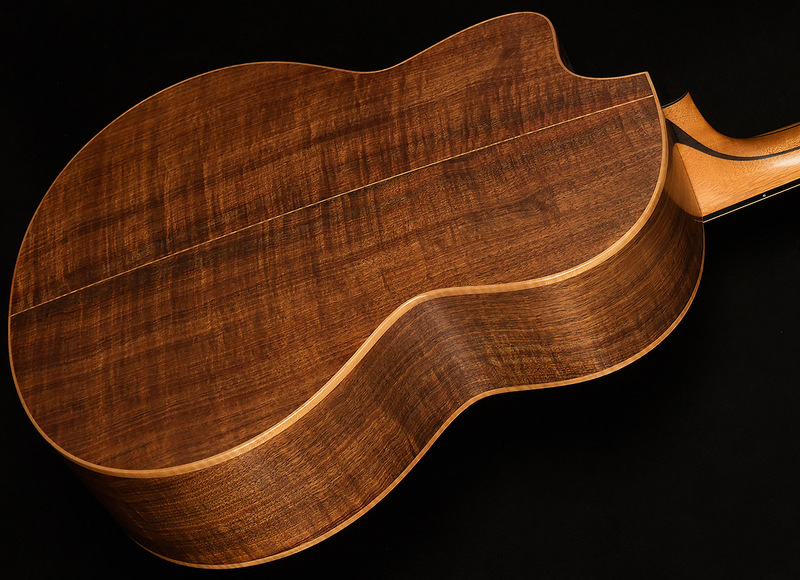 Like cedar, it’s known for having a wide dynamic range: it’s warm, mellow, and open when you play softly, and it gets brighter and richer as you strum harder. However, it has more headroom than cedar, so it stays open and clear even as the midrange fills out and becomes crunchy with delectable overtones. 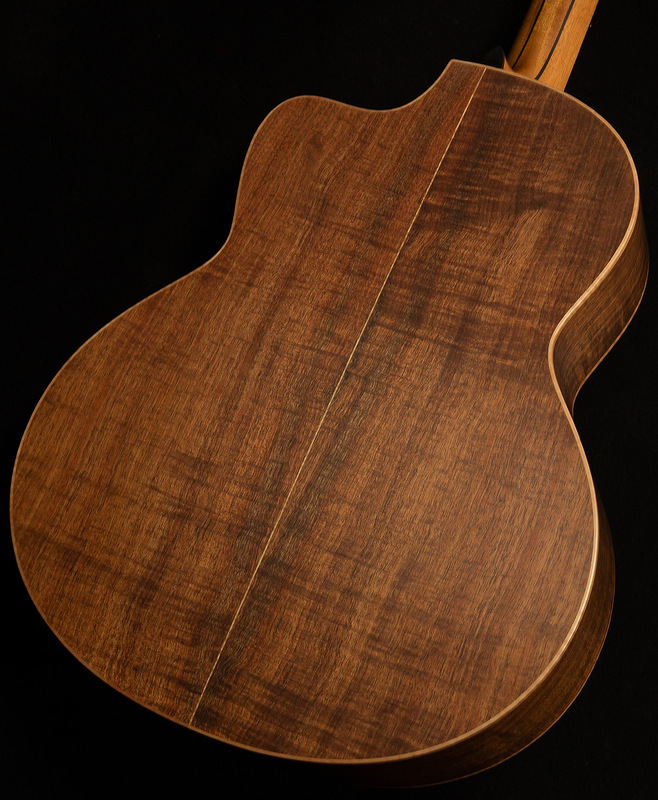 Tasmanian blackwood has a frequency response profile similar to that of mahogany (it’s fairly round, warm, and midrange-forward), but it produces more overtones in the high-end and has a slightly looser, slower, boomier response. If you think that sounds like a match made in heaven, you are absolutely correct. 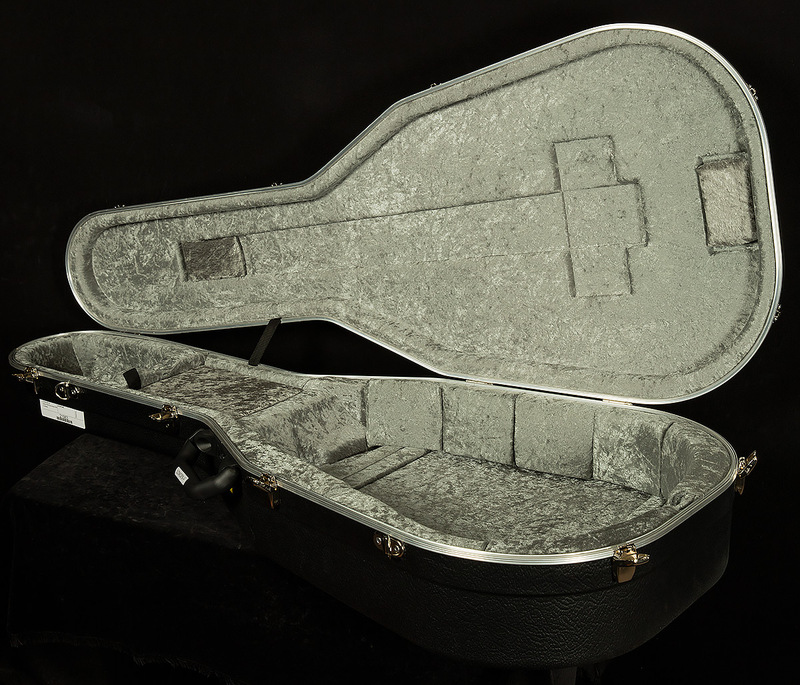 The blackwood back and sides add tantalizing blooming overtones to the high end while adding a bit of bass depth. They keep the redwood top from ever veering too far from the center of the tonal spectrum: no matter how hard or soft you play, the bass frequencies always sound warm and round, and the highs always sound crystalline. So, this serial sounds balanced and even at every volume level! 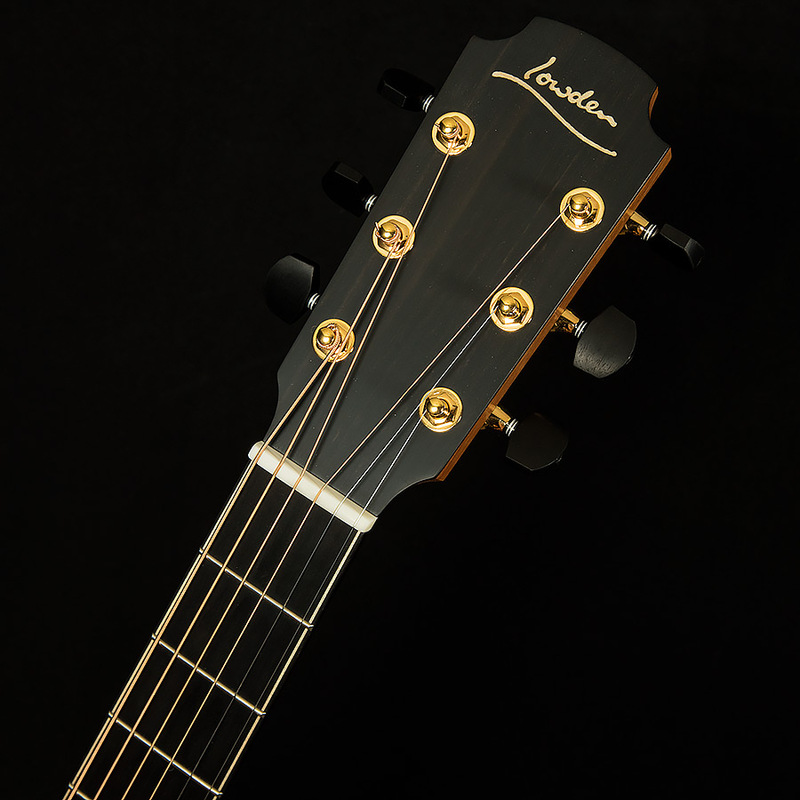 So, when you strum hard and bring out that beautiful midrange push from the top, it never becomes harsh or biting, just punchier and more present. The high-end never gets harsh when you pick hard: instead, it just shimmers and sparkles as more and more (and more, and more, and more…) bell-like overtones bloom in the open top-end. Similarly, when you play softly, this Lowden always sounds verdant and lush even as you explore the warmer tonalities it has to offer. It reminds us that “mellow” doesn’t necessarily mean muted or colorless--far from it! Even if you never take it above a mezzo-forte, this F-35 offers you a complex palette of vibrant purples, oranges, and blues with which you can paint your mellow masterpiece. Having such a wide dynamic range at your disposal makes playing this F-35 a wondrous experience. It feels like an extension of your hands, and it loves flatpickers and fingerstylists with equal abandon. This makes playing it a true adventure, but be careful: you might just get lost!